On December 14, 2015, The Regina Board of Education approved a school division plan relating to universal lunchroom supervision, to be effective in the 2016-17 school year. Parents of all Kindergarten to Grade 8 students staying at noon who do not qualify for transportation by the division to the school which they currently attend, will be required to pay a registration fee at the beginning of the school year. Parents of Kindergarten to Grade 8 students whose child will stay at noon must complete a lunchroom registration form for each child who will be using the lunchroom services of the school. Not transported by the school division, part-time usage of lunchroom. Full-time is defined as 51% or more usage; part-time is defined as 50% or less usage. 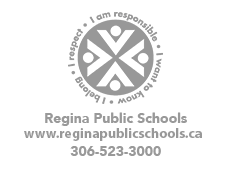 Students registered at a Regina Public school after January 31st will pay the pro-rated rate of $50/$25 per child for that school year. Fees will be paid one time through the school office. A receipt of payment of noon-hour supervision fees will be provided to parents. Parents will be encouraged to pay in full at the beginning of the school year. To support families who may have financial need, there is the option of splitting the payments, half paid in September and half paid in February. If a family moves from one Regina Public school to another, the fee is transferable but is non-refundable. Where there is financial need, families may contact their school principal. The maximum paid by one family will be $200. This applies to both full-time and part-time usage, as well as registrations after January 31st. For further information, please contact your school principal. 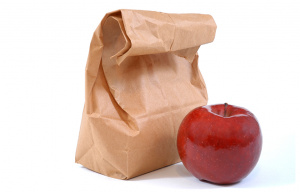 The report to the Board of Education, Review of the Universal Lunch Room Supervision Program and Implementation Plan for the 2016 -17 School Year is available here and below as a document. Note that this review considers Grades 1 to 8. Beginning in the 2017-18 school year, Regina Public Schools introduced full-day Kindergarten. The Universal Lunch Room Supervision program applies to Kindergarten students, as well, as of September 2017. Please fill out the appropriate lunchroom registration form below and return it to your school office or to the Regina Public School Division Office.